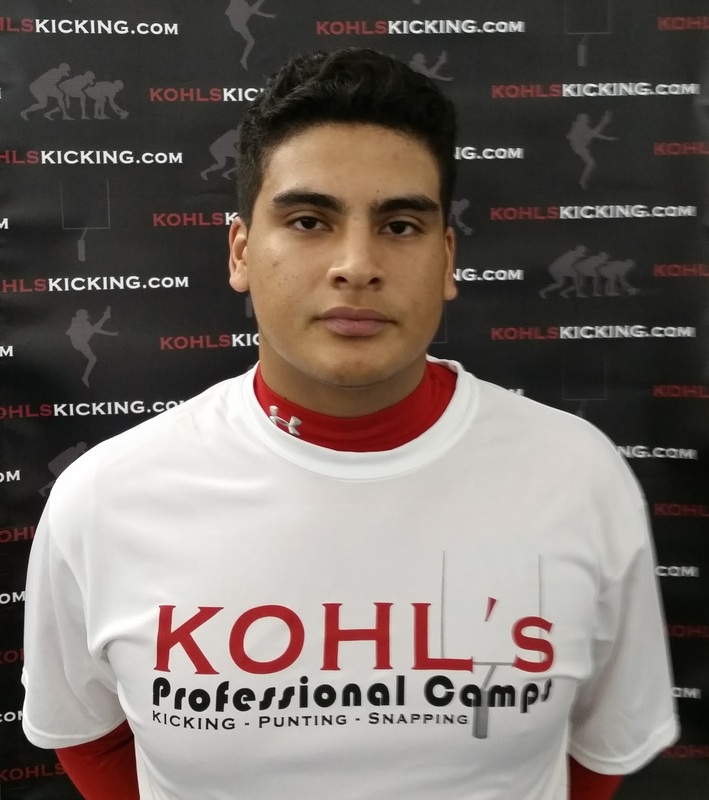 The MAC Blog Hustle Belt reports Randy Alay, a 6-0 220 pound kicker has verbaled to UMass. Bob McGovern had a post on Alay back on July 20th. I took some images of the new UMass uniforms about two weeks ago. I was asked to hold them until after Media day. The new unis are really nice. Dan Malone talks about the difficult 2016 season. A four-win season next year means the Minutemen could have a team that would have contended for the MAC east title. Lukas Kotler is subject of five questions from Dan Malone. I once talked with a US Olympic coach. He said the best thing about the fall of communism was "Only one German team!" Lots of good athletes in Deutschland. Lorenzo Woodley would like to have a big year for the Minutemen. Jarell Addo and Conner Lemieux are featured in this story by the Sentinel & Enterprise. Anthony Dima was waived by the Kansas City Chiefs. ABC News picks Toledo over UMass in the MAC Championships. Former UMass star and current Kennesaw State A.D. Vaughn Williams is helping his college start football. Hustle Belt has the Minutemen as #6 in their preseason MAC power rankings. Husker Extra predicts UMass #2 in the MAC East. USA Today previews all of the college football conferences. The Colorado Buffs have released their depth chart for the Hawaii game. Mike MacIntyre is ready to lead the Buffs through walls. The Buffs see light at the end of the tunnel. 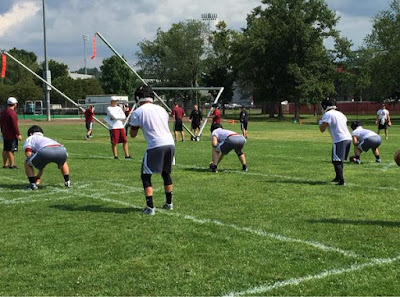 Dan Malone has a post on coach Whipple talking practice and scheduling. 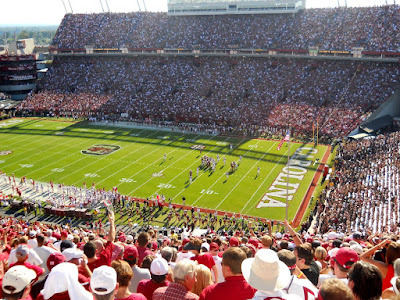 South Carolina adds three opponents to its 2016 schedule. I checked on Wagner, our FCS opponent in 2016, in Phil Steele's FCS magazine. Phil has the Seahawks as #63 in 128 FCS teams in 2015. They're ranked ahead of Colgate, Holy Cross, Rhode Island and Central Conn. State, who've we have played in the past. In 2014 Wagner played Florida International and lost 3-24. This year they play two FBS games: Rice and BYU. The Worcester Telegram says UMass is upbeat in Whipple's second year. Hustle Belt continues its "Top 70" MAC players with #7 Tajae Sharpe. Notre Dame Insider predicts Irish 48-Minutmen 10. Lots of optimistic win totals from Notre Dame blog "One foot down". Buffalo News previews the Bulls 2015 schedule. They also say the MAC is loaded with individual talent and mention Blake Frohnapfel and Tajae Sharpe. The Valley News looks at teams that could go from bad to bowling and UMass is one of them. A Cleveland.com writer looks at the Ohio Bobcats and refers to UMass as having a "juggernaut" offense. I haven't seen Comis in a game situation, but it seems he is playing well in camp. Things would have to get really bad to play true freshman Sosinski and break his redshirt. 2016 college football starts today! I assume college football fans have this link to all the TV games. UMass adds South Carolina (gulp) and Wagner to an already challenging 2016 schedule. We are joining a league----it's the SEC!. Dan Malone has a post on the changes to the 2016 schedule. Minutemen A.D. Ryan Bradford discusses the 2016 and future schedules. The Minutemen showed off their new uniforms during Thursday's Media Day and Dan Malone says the team really likes the changes. Meanwhile, the UMass defense is doing their best to piss off the offense. Dan Malone has five questions with UMass assistant coach Spencer Whipple. Dan reports on the status of Da'Sean Downey. Jackson Porter gets moved to wide receiver. Matty Vautour has news and notes from a busy end of the week. Emil Igwenagu is in a battle for the fullback slot with the Lions. Patriots.com has an article on Australians in the NFL and mentions UMass recruit Travis Reynolds. OT, but UMass will also be adding the Gamecocks to its hoops schedule. South Carolina went 17-16 in 2014 and were 6-12 in the SEC. Dan has a comment UMass Football video pump-up. As he says, it's well done. Brandon Mangram, a 5-11 174 pound freshman DB is the latest subject of Dan's five questions. Matty Vautour has some notes from yesterday's Media Day question-and-answer session with Coach Whipple. Da'Sean Downey will be arraigned in conjunction with a fight at a house party last October. Anthony Chiusano of the Collegian catches up with Joe Colton. The Boston Herald says UMass defensive backs are eager to boost the Minutemen. The Boston Globe says Kelton Brackett has found a new life at UMass. Cleveland.com has five things about the Toledo Rockets. The Colorado Buffs will have a new kicking combo this season. The Miami Herald features the Florida International running backs. Alex Garnder's FIU bio. Anthon Samuel's FIU bio. 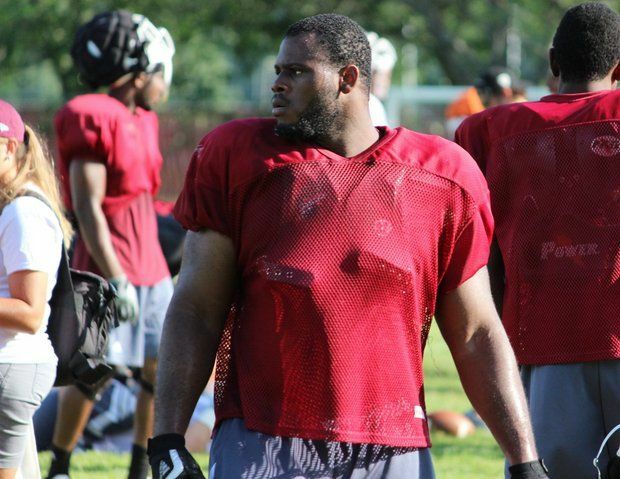 Bob McGovern on Maroon Musket reports UMass has added Ekpen Iduoze, a 6-3 326 pound NT to this year's roster. Iduoze will not be eligible until 2016, but is practicing with the team. Coming out of Milford Academy in 2012, he was a Rivals two-star recruit. Iduoze's Milford Highlight video above. Played one year for Rhode Island. Coming out of Milford Academy, Iduoze had offers from Ball State, Colorado, East Carolina, Florida Atlantic and Western Michigan. Dan Malone has five questions with Australian recruit Travis Reynolds. There are a lot of good athletes down under. With Rodney Mills graduating this year, the TE position should be totally open in 2016. Reynolds has the size and athleticism to be a contender for a starting position. Dan also has a picture gallery from Wednesday's practice. Speaking of the TE position, Matty Vautour has a post about Rodney Mills and Logan Laurent. Hustle Belt continues its Top Seventy MAC players countdown with #8 Blake Frohnapfel. Collegian writer Anthony Chiusano has an article on the Minutemen linebackers. ABC Sports has six teams coming off a bad season that have a chance to go bowling: one of them is UMass. What a difference one year with coach Whipple makes. Mile High Sports says the Colorado Buffs should be happy with six wins and they include UMass in that category. The Indy Star reports Ball State has reasons for optimism. MLive says it's time for Western Michigan to win big. College football starts this Saturday with North Dakota State vs Montana. 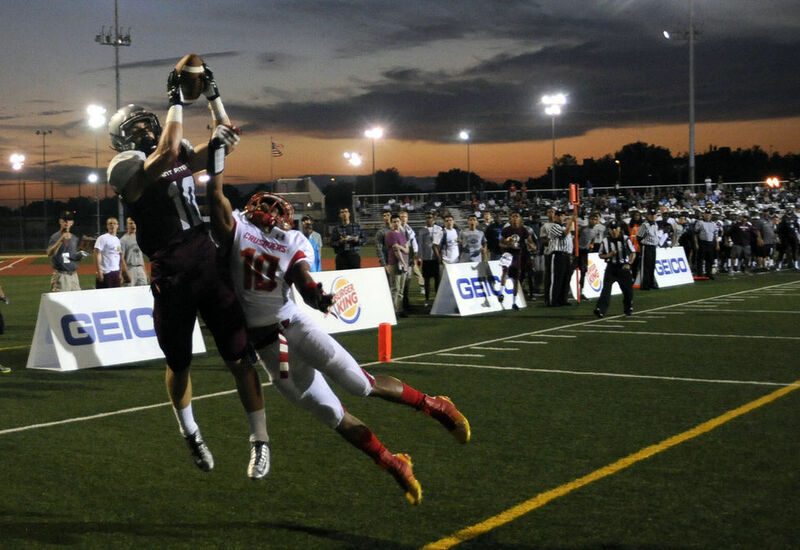 I've blogged about Kolton Huber, a 6-1 200 pound WR from St. Peter's Prep in New Jersey before. He's the younger brother of Shane Huber. He a 247Sports three-star player. This article from NJ.com updates his recruiting. Note former UMass star E. J. Barthel is recruiting Huber for Rutgers. Huber was the focus of this article from November of last year. Huber holds offers from Syracuse, UConn, Kansas, Buffalo and UMass. UMass offers multiple options for Notre Dame travel packages. Dan Malone has five questions with new UMass TE coach Steve Costello. Costello was a four-year letter winner for the Minutemen (2001, '02,'03 and '04). He was also Captain in 2004. Matty Vautour reports Tajae Sharpe vs Randall Jette helps both of them prepare for their senior season. Anthony Chiusano of the Daily Collegian says Jamal Wilson is confident he'll be the lead TB in UMass' arsenal. 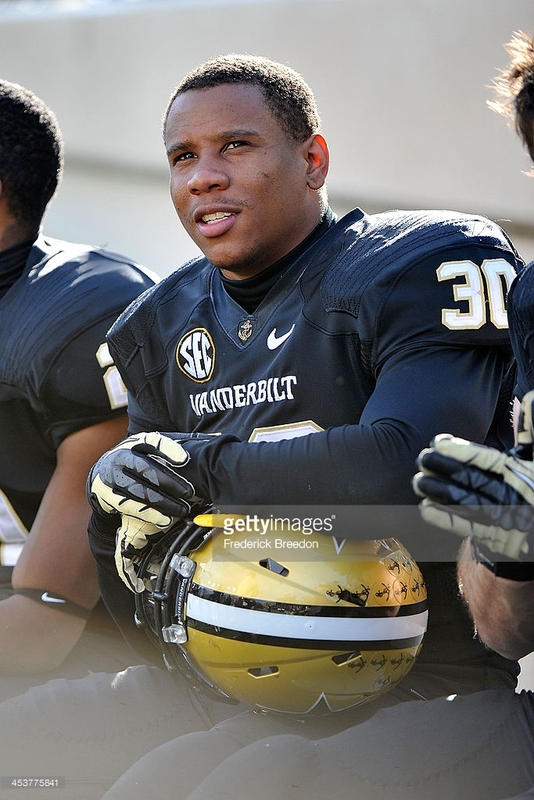 The Vanderbilt Blog "Anchor of Gold" remembers last year's game against UMass. UMass transfer Stacey Bedell is looking to lead the Stony Brook offense this year. The Miami Redhawks will be UMass' last home game of the 2015 season. Cleveland.com looks at a day in the Redhawks training camp. The article also has links to more Miami-related articles. Today's U has five reasons Florida International will go bowling this season. Pacific Takes says Colorado is looking for a defensive restoration. Victor Cruz believes he'll be ready for the Giants' opener. 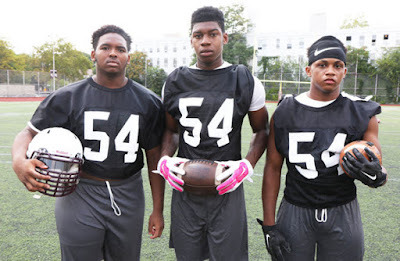 I've blogged about Leon Flanagan, a 6-3 195 pound OLB 2016 verbal to the Minutemen before. This article states that Flanagan will be the primary pass rusher for the Curtis Warriors this season. Another addition to the UMass Athletic Dept staff happened on the 24th as Ryan Bouduay was hired as Assistant Director of Athletics. UMass announces group sales, season ticket and individual game ticket information. 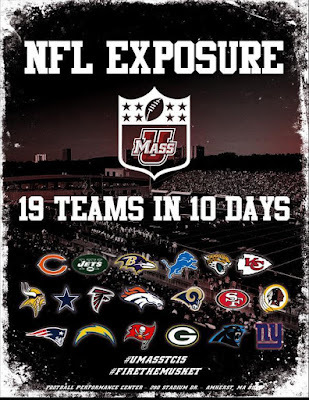 The 2015 Minutemen should be the best team UMass has fielded in quite a while. Try to get someone you know to attend a game or games. Dan Malone has five questions with UAB transfer Kelton Brackett. Most reports from practice have Brackett practicing with the first team defense. In the pass-happy MAC, the Minutemen will play a nickle back package a lot. Brackett has a chance to make an impact both in his football career and with the defense as a whole. Dan also has a podcast with Mark Chiarelli of the Collegian/Maroon Musket about training camp at the end of Week #1. He also looks into the matchup of offensive vs defense in training camp. Dan reports Australian TE Travis Reynolds will not be eligible in 2015. Things got a little heated in practice yesterday. Matty Vautour has a report on practice and features Jackson Porter and Daquan Mack. Mack had over 2,000 yards rushing in high school. At 6-0 251 UMass fans are interested in seeing him in short yardage situations. An article from the UMass Daily Collegian features Sekai Lindsay and Andy Isabella. UHND.com looks at three "under the radar" game for the Irish. Says the Minutemen are "trending up". The MAC Blog "Hustle Belt" continues its top MAC players previews with Jovan Santos-Knox. Dan Malone reports Mark Whipple says Sekai Lindsay has shown some flashes. Lindsay's UMass bio.The Minutemen running game needs to be more productive than it has been in the last two years. Hopefully, the running backs will push each other and the end result will be a more balanced UMass offense. Dan also reports Whipple is looking for some leadership. Dan has a post about ten underclassmen to keep an eye on this year. Matty Vautour also has a post on Lindsay's good impression in Saturday's scrimmage. Bob McGovern of Maroon Musket has some roster changes. Latest UMass roster. Notre Dame was ranked #11 in the AP preseason poll. Sports writers, ya gotta love 'em. Nobody in the country believed someone other than Ohio State was #1. I personally know people like that. They're big, big fans of ------ whoever won the Super Bowl last year. Sports on Earth looks at the PAC-12 including Colorado. The Buffs also have a freshman RB that's turning heads in Fall camp. Patrick Carr's Colorado bio. Chip Scoggins, the defensive coordinator at Minnesota thinks defense should be more important in college football. Victor Cruz stars in a new Footlocker commercial. Giants blog "Big Blue" reports on Jeromy Miles progress in NY's training camp. Six wins would make us bowl-eligible, but I think one of the wins would have to be Colorado or Temple to not get passed over. Seven wins would probably get us a bowl. Temple was not invited at 6-6 last year. Toledo went 7-5 in 2013 and didn't get an invite. Lots of interesting news from Saturday's scrimmage. Thanks to the blog reader who sent me notice that two-star TE 6-6 250 recruit Artayvious Lynn from Parkway HS in Louisiana will enroll at Milford Academy. Bill McGovern reports James Bowe, Jr a 6-2 200 pound LB from Miami, FL will gray shirt. He also reports Marshall Robinson 6-4 340 an unrated DT from Mars, PA will attend Lacawanna Community college. No real surprises on depth chart. Khary Bailey-Smith and Fabian Hoeller are currently out. Both were 2014 starters at Safety and LG respectively. Dan also has more notes from the first scrimmage. Dan reports Zeke Edmonds has been moved to LB. Edmonds received a lot of praise in last year's Fall camp. He played as a true freshman. If he's healthy this year, he could be a nice addition to the Minutemen defense. Dan also has five questions with new UMass RB coach Darrius Smith. Smith's UMass bio. Mark Chiarelli of Maroon Musket catches up with Vanderbilt transfer Larry Franklin. Chiarelli also has what UMass was looking for in Saturday's scrimmage. Hustle Belt previews Central Michigan. A Daily Local News writer says Temple will beat Penn State this year. Houston Courier report the AAC wants to turn the Power 5 into the Power 6. UMass players get a treat from Bart's Ice Cream after practice. Dan has a feature on UMass NT Robert Kitching. I did a post on Kitching's 2014 stats yesterday. The NT position in the 3-4 defense makes it work if NT has the size and strength to hold his position in the run game and occupy two offensive linemen when the defense is rushing the quarterback. Kitching's a strong guy; he was squatting 600+ two years ago. UMass fans hope he has an All-MAC senior season. Dan Malone has a post on the Minutemen true freshmen. Whipple praises Sekai Lindsey. As I said (and everyone else), UMass needs more production from the running game. I don't think it would surprise many Minutemen fans, if Lindsey played this year. Matty Vautour reports on A.J. Doyle's move to TE and the battle for No 2 quarterback. As I've said before, it would be real nice if Doyle got a chance to shine. Mrs Blog and I went to the Vanderbilt game down in Nashville, and Doyle took a couple of real shots when a makeshift UMass offensive line missed some blocks. He's put a lot into the UMass program. A Bleacher Report writer predicts Notre Dame's 2015 game-by-game schedule. Fan Sided looks at the Irish's September schedule. With two weeks to go before Colorado opens its season, the Denver Post takes stock of the Buffs. Boulder Daily Camera says Colorado fans have renewed hope. UMass has some video from Wednesday's practice and comments from DT Robert Kitching and coach Whipple. Kitching's UMass bio. 12-3 GP-GS 8 UT 35 AT 43 TT 5.5-12 TFL 0.5-1 SACKS. Kitching led the Minutemen with two blocked kicks. Dan Malone has five questions with freshman RB Andy Isabella. Not all track guys are football players. One track player who UMass fans remember was Adrian Zullo, who was instrumental in the Minutemen's National Championship. At 5-7 155 Zullo was a tough football player. UMass needs all the team speed it can get (UMass fans who went to the Penn State game last year know what I mean). Hopefully Isabella can add a dimension to the Minutemen offense. Dan Malone has a post on Day Four of training camp with some images. Matty Vautour has a report on how Trey Seals and Kassan Messiah hope to be in opponents backfield a lot more in 2015. John Connolly of the Boston Herald says Blake Frohnapfel takes the lead role for the Minutemen. Rotoworld reports Frohnapfel has a nice touch on deep passes. Anthony Chiusiano of the Daily Collegian says the veteran UMass offensive line looks to improve run blocking. The Worcester Telegram reports former UMass player Nick Haag still tries to stay in touch with Jeromy Miles and Vladimir Ducasse. The UMass Facebook page has post on Jeromy Miles and Julian Talley. Victor Cruz suffers a calf injury. A Utah reporter looks at Colorado. The Boston College blog "BC Interruption" comments on poll that ranks UMass as 114th in the nation. UMass adds Alan Pandiani as associate athletic director for sale and fan experience. Blake Frohnapfel and Tajae Sharpe have been named to the Senior Bowl Watch list. Only eleven players from the MAC nominated and UMass has two of them. Have the Minutemen ever had two players in the Senior Bowl at the same time? Not that I can remember. Dan Malone has five questions with new UMass special teams coach Mark Michaels. His UMass bio. Michaels was special teams coordinator for the Seahawks and spent a total of eight years in the NFL. Dan also has a report from practice and some images, but without numbers, it's pretty hard to follow the action. Matty Vautour reports on the Minutemen running backs. One line form the story may be significant: "On Wednesday’s first day in pads, Lindsay broke through the line and sprinted by defenders for a long touchdown run". Hustle Belt expects UMass@Notre Dame to be a blowout. USA Today has a long preview of the MAC with multiple Minutemen mentions. Anthony Chiusano of the Daily Collegian has a report on former QB's A.J.Doyle and Andrew Verboys changing positions. A Bleacher Report writer has Frohnapfel-to-Sharpe as one of the top QB-WR combos in college football. Today's U has five bold predictions for the 2015 MAC including EMU will win four games including a win over UMass. In a roster move I missed, former UMass star Emil Igwenagu is with the Detroit Lions. The Detroit Free Press has a post that features Igwenagu. The UMass website has a post on the Minutemen's first fall practice. Dan Malone reports Mark Whipple says Blake Frohnapfel is working at "another level" this fall. The old level was pretty good. Just stay healthy, Blake! The UMass Daily Collegian reports on the first day of camp. Anthony Chusano of the Collegian has a post on the Minutemen's defensive secondary. 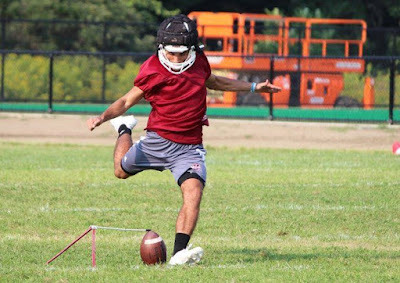 Dan also reports on incoming freshman kicker Michael Caggiano. Caggiano's UMass bio. There's not many college football fanbases in the country where maybe the top discussed recruit is a kicker, but UMass fans really hope Caggiano is the solution to two years of misery. As we've discussed here many times, UMass finished at or near the bottom of the MAC in most kicking and punting stats. We had five close losses in 2014. Most football gurus believe special teams decide about a third of all contests. If any of the freshman players have an open door to be an impact player and four-year starter, it's Caggiano. Matty Vautour says Blake Frohnapfel has a stronger foundation this year. Matty also reports the coaching staff hope to have Andrew Verboys take over as holder on kicks. The Buffalo Bulls talk about a new football era. The Bulls return only four starters on defense. Wagner will play at BYU on October 24th. Former UMass player Greg Hilliard is one of the Seahawks top players. Hilliard's Wagner bio. The article also mentions former UMass player and coach Malik Hall. The MAC Conference goes to eight officials this year. A Bleacher Report writer ranks the MAC sixth in twelve conferences in running back strength. 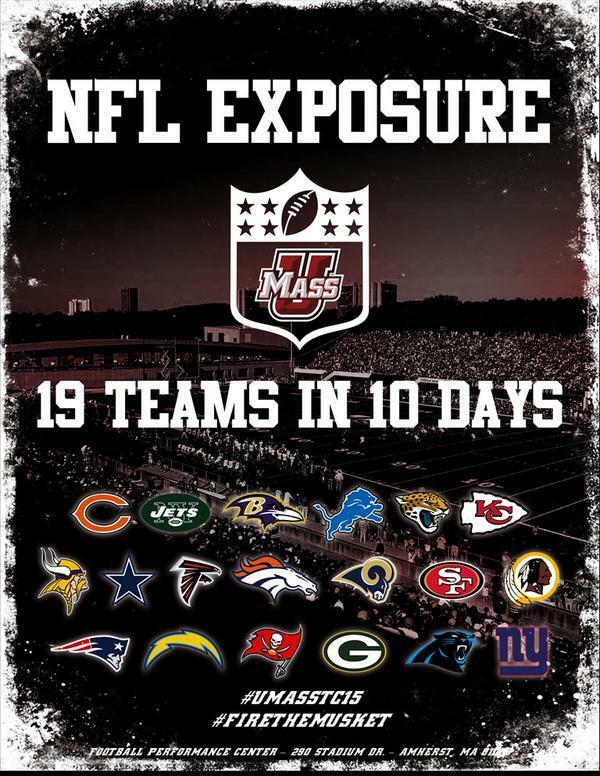 Sports Chat Place ranks UMass eighth in the thirteen team MAC. Mike Rosenburg has a post on the most-arrested football teams over the last five years. Twenty-four of the top-25 teams are Power Five squads. Matty Vautour reports that 6-1 214 pound former Vanderbilt LB Larry Franklin has joined the Minutemen as a late roster addition. He was a 247Sports three-star recruit. A senior eligible, Franklin should add some maturity and athleticism to the Minutemen defense. 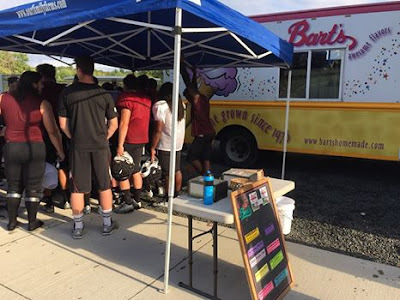 UMass will practice in jerseys with no numbers or names until Whipple says so. Dan also reports with no bye week, the Minutemen coaching staff is monitoring the camp workload. Matt Vautour says UMass had a good first day of practice. Matty reports on some position changes: Trey Dudley-Giles is back at Safety. He also says former QB's Elijah Barrows and Andrew Verboys have have been moved to WR. Elgin Long had success running the Wildcat last year. He's a senior in 2015. Maybe Verboys, who has good foot speed, will be heir apparent for those plays. Andrew Cyr of the UMass Daily Collegian says football is finally back. The National Labor Relations Board rules college football players cannot unionize. Nick Haag, former UMass and Assumption player, signs with the Indianapolis Colts. Colorado is halfway through training camp. ESPN reports the Buffs feel they can play with anyone is the PAC-12. Temple CB Tevon Young has matured as a player. Sports Book previews the 2015 Boston College Eagles. After all the snark thrown at us, it would really nice if UMass was bowl-eligible and BC wasn't. 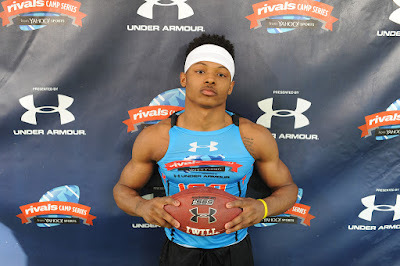 Bob McGovern of Maroon Musket reports Brennon Dingle, a 5-10 170 pound WR from Baltimore, MD has verbaled to UMass. Hustle Belt also has a post on Dingle here. Dingle's junior highlights and Nike camp. Dingle runs a hand-timed 4.41 forty at the US Army Nation Combine. Besides UMass, Dingle holds an offer from Maryland. UMass starts Fall practice today. The Minutemen have gone 21-48 since 2009. It's been a tough road for the program and for UMass fans. A winning season would be a big morale booster for everyone. 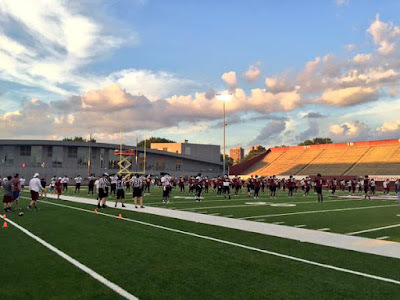 Matty Vautour has 10 questions that previews UMass' 2015 season. Hustle Belt previews the Buffalo Bulls. The Bulls will be an interesting team in 2015. Last year they dominated Akron and UMass. However, two of Buffalo's wins came against weak FCS teams (Duquesne and Norfolk State). They also lost Eastern Michigan. This year the Bulls return seven starters on offense including QB Joe Licata and RB Anthone Taylor. Buffalo returns only four starters on defense and their OOC schedule is a lot tougher. A high school football team from Moncton, Canada unites with a Fitchburg team and gets to tour UMass' facilities. NFLmocks.com says Tajae Sharpe is an NFL draft dark horse. Western Michigan has a big opener in Michigan State. Mike McIntyre is happy to be Colorado's head coach. Buffs LB Addison Gilliam gets his mojo back. Colorado's new safeties coach likes the look of the Buffs secondary. Offensive coordinator Brian Lindgren plots the next step for the Buffs offense. The Miami Herald says Florida International's schedule ranks in the middle of the pack. Every UMass player has received a iPad for academic, play book film use. How many days before a position coach gets a call from a player who is going to say "Uh, coach. I left mine on the bus.". Continuing its OOC previews, Hustle Belt looks at Colorado. Former Buffs players praise Colorado's new performance center. The LA Times says Notre Dame has high expectations. The Irish lose a DT for the season with a torn MCL. Florida International RB Anthon Samuel focuses on leadership. Samuel's Panther bio. A NY newspaper ranks Lance Overby as one of the all-time greats to play at McKee/Sci Tech HS on Staten Island. Overby's UMass bio. The Battle Creek Enquirer looks at Western Michigan's media day. The Broncos went from 1-11 in P.J. Fleck's first season to 8-5. Fleck went from a new hire to the MAC's best paid coach over the same period. Ron Willoughby is the go-to receiver in the Buffalo Bulls offense. Hustle Belt featured Willoughby here. Clemson banns social media for Tigers players during the football season. The UMass website has a look-back on AD Ryan Bamford's COA announcement. UMass also has a video on Mark Whipple previewing the Minutemen's fall camp. Matty Vautour has a preseason camp notebook. He notes Jamal Wilson is healthy. I would think the TB spot would be Wilson's to lose going into camp. Wilson started the first three games of the 2014 season and against BC, Colorado and Vanderbilt averaged 4.4 yards a carry. He had 1 yard loss. The other news is UMass will leave early for the Colorado trip in an attempt to minimize the travel and altitude affects of going to mile-high Boulder. A CBS Sports article picks the best team in each state. They pick BC over UMass "who just moved up to FBS last season". This Daily Journal article repeats the Toledo-vs-NIU article I linked to yesterday, but adds some thoughts about UMass being "on the rise". Sport on Earth previews MACtion and has some good words for the Minutemen. An Irish gamer uses NCAA 14 to predict Notre Dame's 2015 schedule, swaps out UMass for Army and apologizes to Charlie Molnar. Sports Illustrated previews the Group-of-Five conferences and predicts UMass fourth in the MAC East. Blind footballers and Morris Dancers engage in mass brawl. UMass adds South Florida and Maine to future schedules. South Florida is a AAC team and that's where we want to spend our future. Whipple and Co. have always recruited Florida heavily and it'll serve to increase our presence there. Northeast FCS teams are tougher to come by. With Northeastern and BU gone, and we probably wouldn't want a Patriot league team, so that leaves New Hampshire, Maine and Rhode Island. Dan Malone has a post on the announcement. He also looks at the future schedules. The Portland Press-Herald reports from the Maine side. The Bulls blog "Voodoo Five" is not impressed. Matty Vautour has some football notes about the future schedules and reports A.J. Doyle will play at TE in 2015. In Doyle's UMass bio he's up to 6-3 238. Dan Malone reports on alternative uniforms for the BC-Notre Dame game. The BC blog "BC Interruption" has a post on the Eagles throw-back uniforms. A Lynchburg newspaper considers the Liberty offensive line including UMass transfer Rich Queen. Toledo is ready for another shot at NIU. And now---- Victor Cruz has his own Nike model shoes. 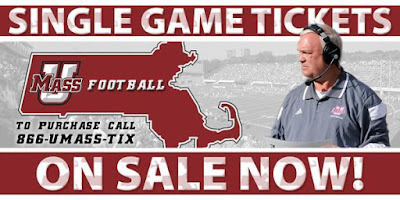 UMass single game tickets are on sale. Jesse Allen of Hustle Belt previews UMass. Dan Malone previews Eastern Michigan. The Eagles went 2-10 in 2014, but upset Buffalo, a team that handled the Minutemen last year. The Eagles OOC schedule is manageable they're going to be clobbered at LSU, but Old Dominion, Wyoming and Army are ranked #108, #114 and #121 by Phil Steele. Speaking of Phil Steele he rates Penn State transfer Daiquan Kelly as a "very highly touted" player and had him ranked #55 in his linebacker recruiting list. The whole MAC conference only signed three VHT players in 2014. Philly.com has a post on Kelley's transferring to UMass. Centre Daily.com also has a report on Kelly's leaving Penn State. The UMass Daily Collegian has a post on AD Ryan Bamford's announcement UMass will pay COA for scholarship athletes. 247 Sports has a preseason "Top 247 college players". Five MAC players made the list including QB JoVan Santos-Knox and Tajae Sharpe from UMass. Full list here. Cleveland.com says MAC West conference running backs will likely decide the league title. This article by Buffalo News.com features Bulls RB Anthone Taylor, who ran all over the UMass defense last year to the tune of 237 yards. Victor Cruz will be the focus of an upcoming Showtime Sports documentary.